This Wednesday and Thursday just gone were the Diabetes UK annual conference and an opportunity for healthcare professionals and workers in diabetes to come together and discuss the condition. Unfortunately I wasn’t able to attend due to work commitments, but it was a great opportunity for those in attendance to discuss the progress and achievements of diabetes management over the past year. And to celebrate the innovations that are in the pipeline for release in the coming months. And one of those innovations was the Animas Vibe pump and its availability for children! I’m currently on an Animas pump myself and have been for the last 5 years almost, since the age of 21. And now there is an opportunity for children from the age of 2 to be on an insulin pump with continuous glucose monitoring too. For those people who haven’t come across an insulin pump before. It’s a small mobile phone sized device, that’s used by people with Type 1 – insulin dependent diabetes to deliver their insulin. 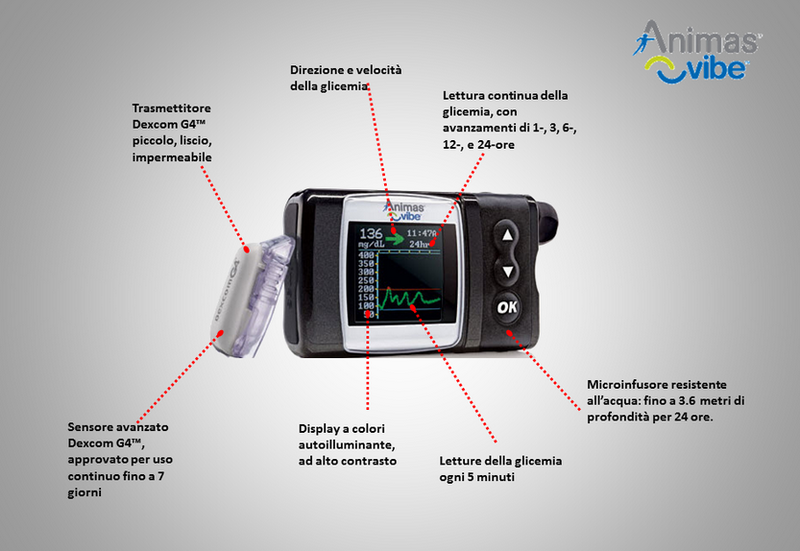 Insulin pumps usually have two primary functions- the first being to deliver insulin hourly from a pre-set regime programmed into the pump by the user. And secondly through carbohydrate counting the user can tell the pump how much insulin to deliver from food. The insulin pump that will be available for children goes one step further as it is Dexcom G4 technology enablement. Which means that a sensor can be worn for 7 days in addition to the pump and the information fed back to the Vibe’s screen. Some people might wonder if 2 years old is too young for a child to have an insulin pump. But you might remember I told you about the wonderful Olivia the 3 year old and her parents that I met at the Diabetes UK Cymru volunteer event, who had a pump and managed great with it. She would happily show you it, but otherwise got on with being a regular 3 year old with her pump tucked away safely. Not to mention that the sooner someone is introduced to an insulin pump, then the sooner they receive both the long and short term benefits. In the short term one can hope for better blood sugars, a reduction in hba1c percentage and more control over diet and exercise. But in the long term being on an insulin pump can greatly reduce the risks of complications in later life. And it’s my belief that anything that empowers someone to manage their diabetes the way, they want to from any age then it’s tick from me.